This quilt is made up of hex, half-hex and equilateral triangle pieces and was designed randomly using processing code. 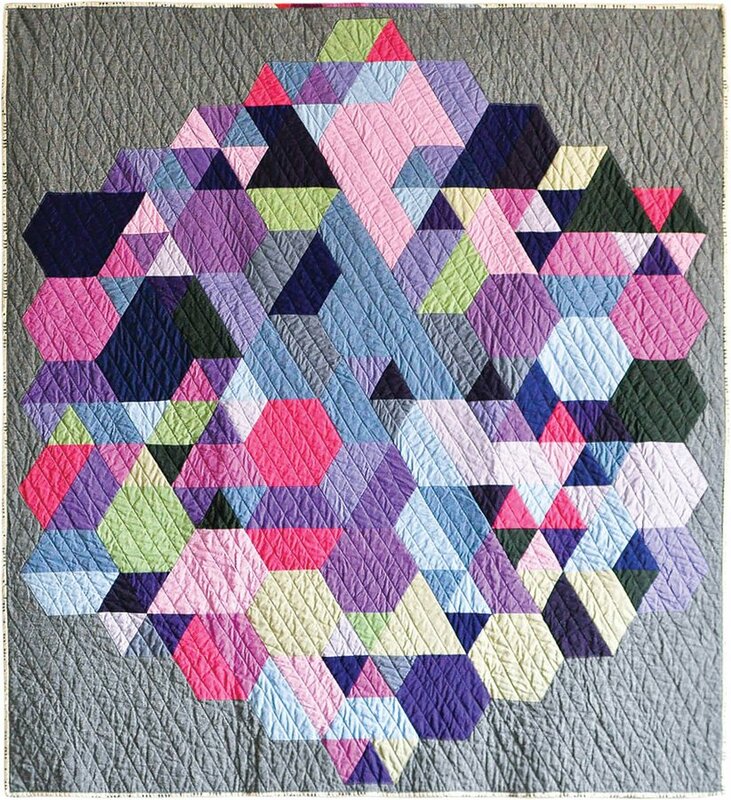 You’ll spend the day making the Weight of Love your very own by customizing it with solids and prints, then building it using the Y-seam piecing method. Libs will show you how she uses a programming language to design her quilts and how she extracts colors from photographs to create color palettes.